Many of our neighbourhoods have spaces that have been idling, lying dormant, invisible, without a purpose. Now is the time to discover their hidden potential by exploring new experiences that can bring these spaces to life. Location and Time: Community Centre and Lions Hall (200 Doug Duncan Drive), 11 a.m. to 3 p.m.
Bring the family and join us for some winter fun, both indoors and outdoors! Location and Time: Newmarket's Riverwalk Commons (200 Doug Duncan Drive), 8 a.m. to 3 p.m.
Bring your family and friends to enjoy a free skate and swim. Choose one activity or stay for both! It's a fun way to stay active. Join us for a fun-filled day on our mystery Valentine's Day bus excursion. Don't miss out on this mystery trip! The last day to book is Friday, January 26. Cost is $94 for members and $99 for non-members. For more information, please call 905-953-5325. Expected return time is 5:15 p.m. The Elman W. Campbell Museum presents this compelling and interactive exhibit in recognition of Black History Month. The exhibit explores slavery, and the Underground Railroad, a secret network that assisted fugitive slaves escape to freedom in Canada, and the challenges they faced once in Canada. 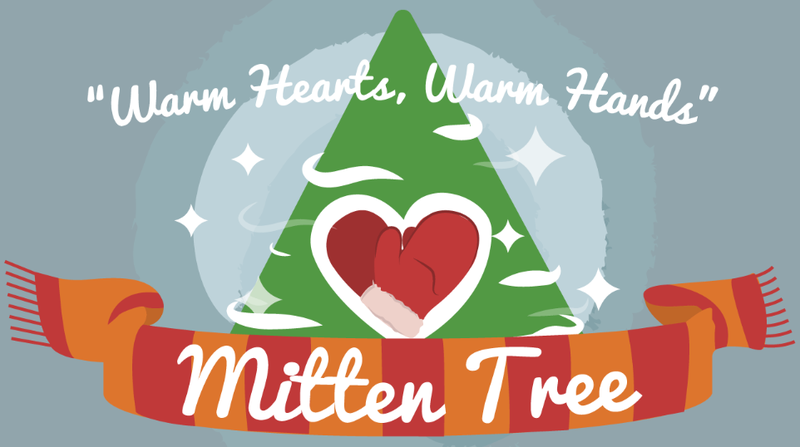 Location and Time: Old Town Hall (460 Botsford Street), open Tuesday to Friday from 4 to 8 p.m. and Saturdays 2 to 4 p.m.
Help keep others warm during the cold winter months by attaching new (handmade or purchased) mittens, hats and scarves to the Town’s Mitten Tree. Donations will be accepted until March. Everyone is welcome to take what they need from the tree. Leftover items will be donated to Inn From The Cold. Thank you for your support! Newmarket has been awarded funding in the amount of $90,000 from the Federation of Canadian Municipalities (Municipalities for Climate Innovation Program) to implement the Town’s Community Energy Plan (CEP). This plan is consistent with Newmarket’s longstanding commitment to environmental sustainability. The grant will cover the majority of the costs of a feasibility study for the Newmarket Energy Efficiency Retrofit (NEER) program. The NEER program is the first step in achieving Newmarket’s transformational targets of 40 per cent reduction of energy use and GHG emissions per capita by 2031. Stay tuned for more information coming on the CEP in 2018. Download a digital copy of the 2018 Waste and Recycling Calendar for all your waste and recycling needs. Visit newmarket.ca/collectionchange to see if you 2017 collection day has changed. Remember to have all items at the curb by 7 a.m. to ensure pick-up. Residents are reminded to take precautions around local bodies of water such as Fairy Lake, the Holland River and storm water ponds. Although ice may appear thick enough to venture out on, it may not be. Use extreme caution and remind your children that ice is unsafe for skating or playing. By working together, sharing information, ideas and being engaged in our community we have achieved results for Ward 6 together.